Looking for a WordPress Pricing Table Plugin? Use This Instead! Looking for a WordPress Pricing Table Plugin? Use This Instead! Looking for a WordPress Pricing Table Plugin? Use This Instead! When looking for a WordPress pricing table plugin, you'll find a ton of solutions... But very few of them satisfy your needs if you want to quickly build a conversion focused pricing table. Real WYSIWYG front-end editing where the pricing table you create looks exactly like what your visitors will see. Well designed, conversion optimized pricing table templates. Toggle options to add advanced purchase features such as monthly and yearly pricing options or display different currencies, etc. I have to admit that using Thrive Architect on a daily basis has spoiled me a bit. It convinced me that abstract, back-end editing boxes just aren't a good way to build a pricing table. ...but real What You See Is What You Get front-end editing like this! If you're serious about building a pricing table that makes visitors buy, you need the ability to control exactly what they see! 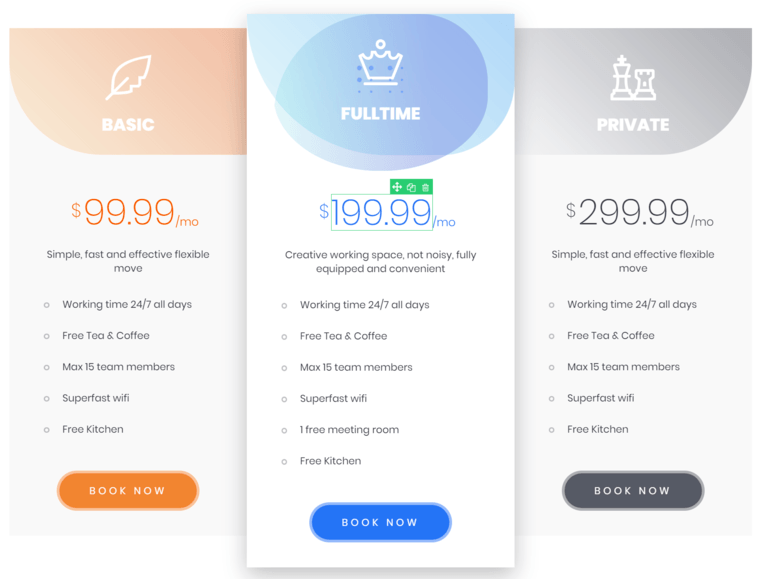 With Thrive Architect's Pricing Tables, there is no disconnect between what you edit and what your visitors will see. You have full control over desktop, tablet and mobile view. Thrive Architect's continuously growing library of conversion focused pricing table templates. get the visitor to click that "buy now" button. That's why we've added a library of pro-designed pricing table templates to Thrive Architect that tick off all the bullet points above. You can start from scratch with the default template or load any of the pro-designed templates from the library to start customizing a pricing table to your liking. And all of the templates are made to look good on desktop and mobile so you won't miss out on any sales from mobile visitors. This is the "Picture" template from the templates library. Every element on the pricing table can be edited within Thrive Architect. You're not forced to use a certain layout, color scheme, number of elements or anything else. This makes these pricing tables super versatile. You can use them with any language, any currency, any number of products, etc. We don't believe every pricing table starts with the price, a bullet list and a button. 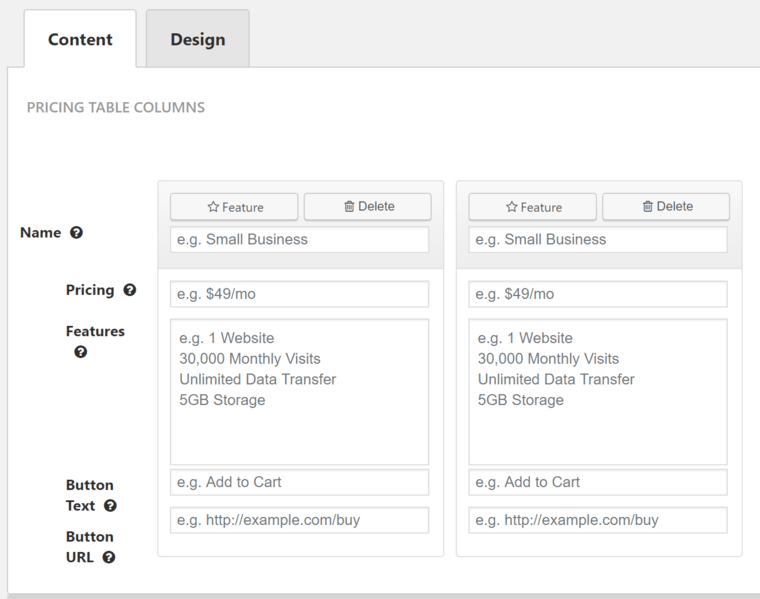 That's why in Thrive Architect pricing tables, you can add or delete any element. This is a fully customized pricing table... It's really that easy! If you have a pricing table design in mind, you can build it in Thrive Architect! Add toggle buttons to your pricing table. A pricing table toggle element was a much requested feature. That's why we've added the possibility to create multiple instances for each pricing table. This will allow you to not only create pricing tables with a yearly and monthly option, but also create more than 2 versions of your pricing table. Maybe you're offering your products in different currencies? Create 3 instances and show prices in €, $ and £. Each instance is created as a copy of an existing instance, but then becomes fully customizable on its own. Offer a certain package only for the yearly billing option. Want to add bonuses to incentivize picking a certain plan. And of course, it's up to you to decide which instance of your pricing table is the default one your visitors will see first. Given the features in these pricing tables, we should have made this a paid add-on or even a stand alone plugin, but we've decided to save you $$ and include this element directly within Thrive Architect; our drag & drop WordPress page builder for smart entrepreneurs. Is it time to boost those conversions and get more sales? Try the new pricing table element and let us know what you think in the comments below! How responsive it is on mobile/tablet? Totally responsive :) The columns will automatically stack on mobile and as with everything in Thrive Architect you can make mobile tweaks if you want to! This means we are no longer have to save the pricing table from the pre-created template and we can now add it as an element from the dashboard right? 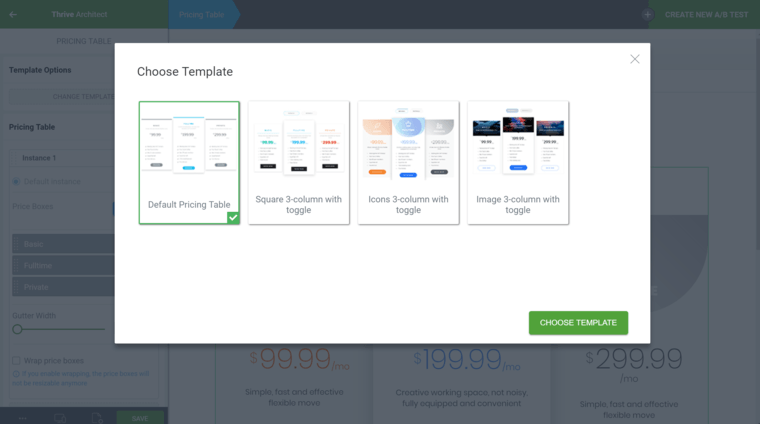 We’re also working on bringing all the pricing tables from the landing page templates to the templates library so it will even be easier for you. Thanks for the update, Hanna. Yet another super addition. I look forward to updating my tables. Thanks Sean. Let us know if you do any testing! Fantastic, i can get rid of another plugin. This is awesome. Great work as always guys. Have you been able to look at improving the compatibility with Learndash as I would love to be able to use this and all the Thrive features to customise my membership site? I have yet to start to build my first of many websites – 3 of which will be membership sites. I am kind of a newbie (but not without some capabilities) and can’t seem to get a handle on how to coordinate a theme, (going with Thrive for sure), a membership plug-in, an email service and a shopping cart that can handle both digital and physical products (400-600 items (music mp3’s and print music)). One thing I don’t want to do – is create a site that has inadequacies (because of my lack of knowledge) and have to turn around and start over with new/different products. Why is Thrive not compatible with Learndash. What membership plug-in IS compatible with Thrive? There is a big difference between not being compatible and not being integrated. There is no problem using Learndash on you site, but you will not be able to edit eg. Learndash specific stuff with Thrive Architect. But you will be able to use the shortcodes etc. At the moment we’re not actively working on a deep integration with Learndash. But it is on our radar. The toggle is the real killer update here! I clapped out loud during the webinar lol! I once tried to do a workaround last year using the “tabs” element with a monthly and yearly tab. I couldn’t quite get it looking right and scrapped the whole thing. NOTE: I’ve spent a year split testing pricing tables and actually placing my most expensive option first and the cheapest last boosted conversions. It sets a good first impression for the offer if the first price they see is the highest. PRO TIP: Edit the height of your call to action buttons on mobile so they are larger and more “tappable” than on your desktop version. Thanks Derek for your insights. These little tweaks clearly indicates your desire to create the best possible experience for the user. Well done! I love the split testing, as you know we’re all about that! And thanks for sharing your insights. We’ve seen very similar results by “anchoring” the highest pricing on the left in the pricing table. Another great feature. Unfortunatelly, I use WooCommerce for sales pages and can’t use your pricing tables there, but I love everything you do. You can add a Woocommerce add to card button on your site. I am really excited about this. Should I see a pricing table box in the building blocks section? I can’t seem to find it. As you can see, the element is there but the styling is missing. This is 99% of the time a cacheing issue. Can you please do a hard refresh (CRTL+F5 or CMD+F5) to clear browser cache? If the problem still persists, please open a ticket on our support forum so that our team can have a look at what’s causing this on your site. Awesome – That did the trick. Thanks for the great support, Hanne! I’ve been with you guys since the beginning and it just keeps getting better every month. I’m spoiled too! hahahah please don’t… But we can do a happy dance! I love this as I have had a re-design of my pricing table on my to do list for months. I wasn’t looking forward to it! Now I just want to get going. 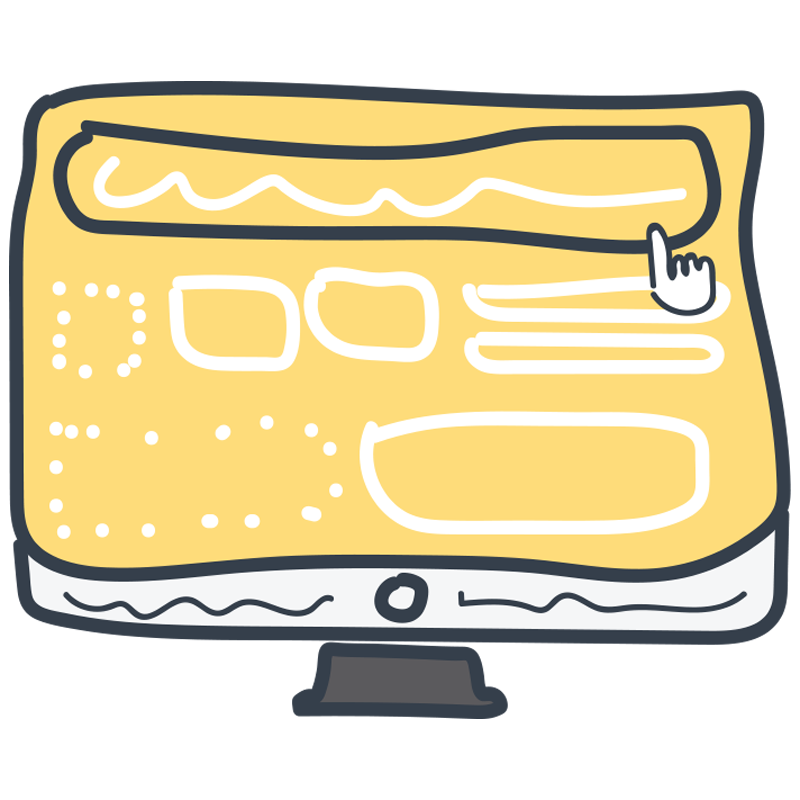 How about one of your trademark blog posts on the principles of good conversion-focused design choices? For example, some people say keep the price numbers small – others say large. Some say top price option on the left, others say on the right. I know at Thrive, you don’t do snake oil and hype around conversion focus – just sound evidence-based advice, and integrity. So, a solid article would be very welcome. Wonderful! That clears up a lot of messing about for me! I’m really excited about this feature! Coming from another builder (one that started as a wireframe builder), I had to add in quite a bit of extra code to create the options like the monthly and yearly ones you show. AND it wasn’t nearly as beautiful when I got done. THANKS! How do you do it every time? I am was looking at plugins today. THANK YOU! I love getting emails with amazing updates like this! It reminds me how excited I am to be a Thrive member. I can’t wait to experiment with the pricing tables! Oooh, I like that one! With all those great updates coming out at the moment, I just cannot keep up with finding ways to include them on my website. Thanks for all those terrific features that you are offering! This is great! I’ve already tried it with a slightly different combination of instances. I’ll let you know what results I get. Yes! We would love to hear your results Patrick. Earlier on at some point had tried to create a similar table with thrive architect but i couldn’t really figure it out. Am sure this will be very useful. Cheers! Yep this makes it much easier! Let us know how the testing goes Jonas! Holy crap this is amazing… Thank you! The toggle is really fantastic! Talk about a company that delights! Thank you Thrive Themes! Great update, thrive architect is improving. Will try this feature. You are such a wonderfully, busy group coming up with such awesome helps for our websites. Thank you so much. You’re the best. Now I just have to keep trying to learn how to use it. LOL It’s not that hard but it always takes me a while until I figure out what to do. The new pricing table feature and the new pricing table designs are both really awesome! You can see the full landing page gallery here. amazing new feature, Thrive. Looks really awesome and I like this new enhancement very much. Once again, you rock the WP world! 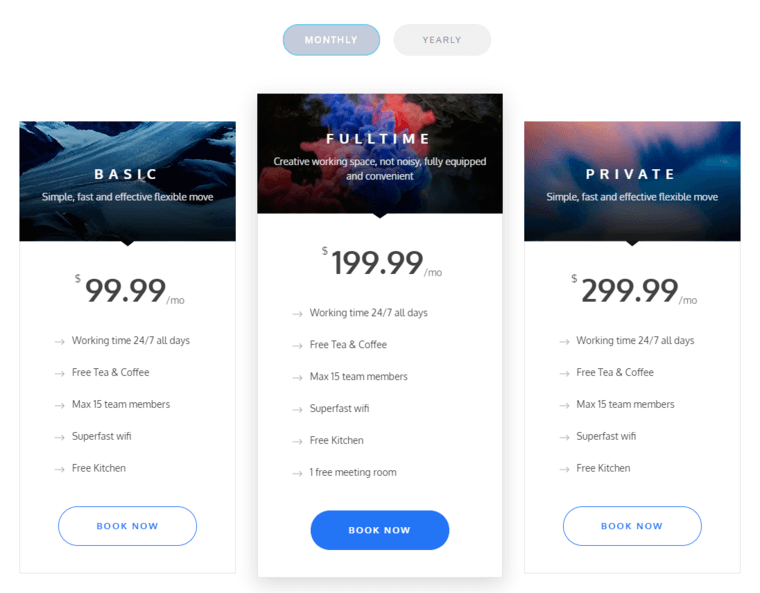 Wow, I spent so long copying the Thrive site pricing table (including the toggle) onto my site last year and it still looks nowhere as good as this addition! Great job! Sorry to hear you lost time with that :) But happy to solve the problem now! A very appreciated features! But…i’ve just a simple “problem”: how can i integrate this pricelist into an existing Page, who is built with a “wordpress theme”? I’ve tried using html, but…unfortunately there’s no way to create a compatible page…any idea!? Indeed you need to put this on a page build in Thrive Architect. – Transfer the content to a “real” Thrive Architect page (using the paragraph, header, image options, etc. ): This will take a bit more time but you’ll be much more free in design options form now on. – Use the WP content element and copy paste your sales page above an under the pricing table: Fastest method but you will still not be able to change other parts of the page with Thrive Architect. Thanks Stacey! And happy this will help you out. Thrive Architect is the best plugin I’ve purchased. By far. Yey :) Happy to hear! looks great! Is there a way to use these via shortcodes in WP? We are currently using Divi themes and don’t currently have the time to migrate everything to Thrive Themes. No that is currently not an option. Hi can you share the name of the music used in the pricing table video – is it from envato? Oh, my !! The more I use this page builder, the more I get comfortable with it. Before I had to manually make the pricing tables using content boxes, but now it is not required. One request on my behalf, in the shape divider, tilt, please add an option to change the background color of that tilt. happy you like the pricing table element and thanks for the suggestion. Hi that’s Great feature but ..
Not sure what layout you are trying to accomplish but I feel like the normal table element might be more what you’re looking for. Could you have a discount code input field to trigger an alternate pricing table? But you could use a plugins like Thrive Ultimatum to show a special price to certain people for a limited time period. 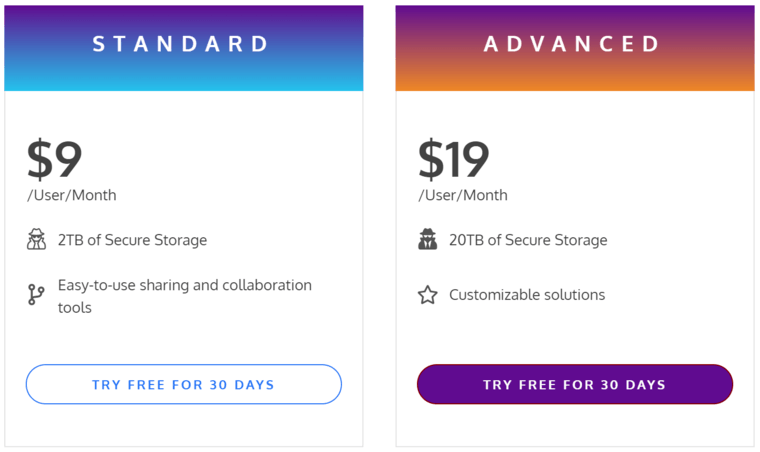 I love the new pricing tables, especially the colorful design. Is there a way to remove the toggle on templates so I can offer one option? I deleted the toggle by selecting the table and deleting the Instance. The table remains on the page in edit mode but the entire table is missing in preview mode. Do you need the approval of the company to use this page on your blog? Not sure I know what you refer to? You can use any pricing table on any page of your site. They were made by our designers. Hey, this looks great. Thanks! I was thinking to use and customize this for my comparison tables for my affiliate websites. I’d like to do so because the traditional mobile-responsive tables look very basic and feel like the typical in-you-face affiliate website and I absolutely DO NOT want to do that. Many of my competitors grab the featured snippet with the basic mobile responsive tables, but I think I may not be able to potentially grab the snippet if I customize and use these pricing tables? Any thoughts on that would be greatly appreciated. While I like the idea about having something more stylish, you’re right in thinking that you won’t be able to grab the feature snippet. From my readings, Google will only index “real” tables which means you need the HTML table markup in order to get picked up. My GoodNess, What can you say about Thrive Themes? They just keep coming out with Amazing plug in after plug in. Wow!!! hey Hanne! Cant find the pricing table option. Make sure your Thrive Architect plugin is up to date and do a hard refresh (CRTL+F5) if you can still not see it, you can ask our support team to help you out on the forum. Nice. Thanks for the great insights. Have a look at this article too about do & don’t for pricing tables, it might give you some pointers! Thx for the article Hanne will look into the matter.